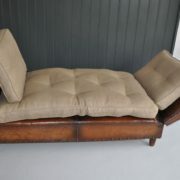 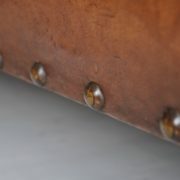 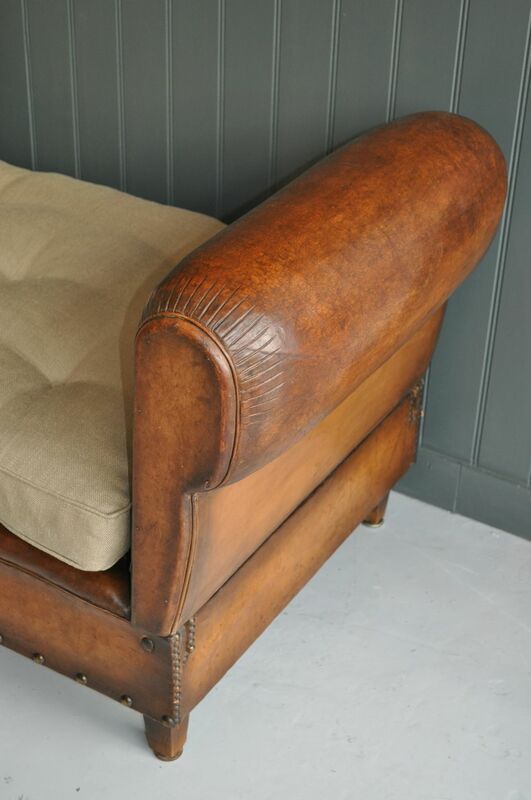 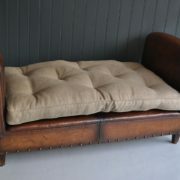 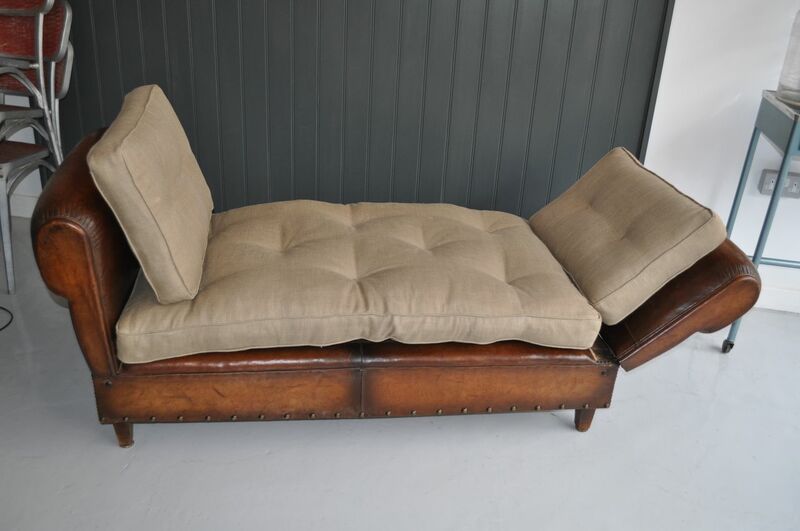 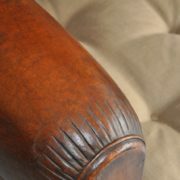 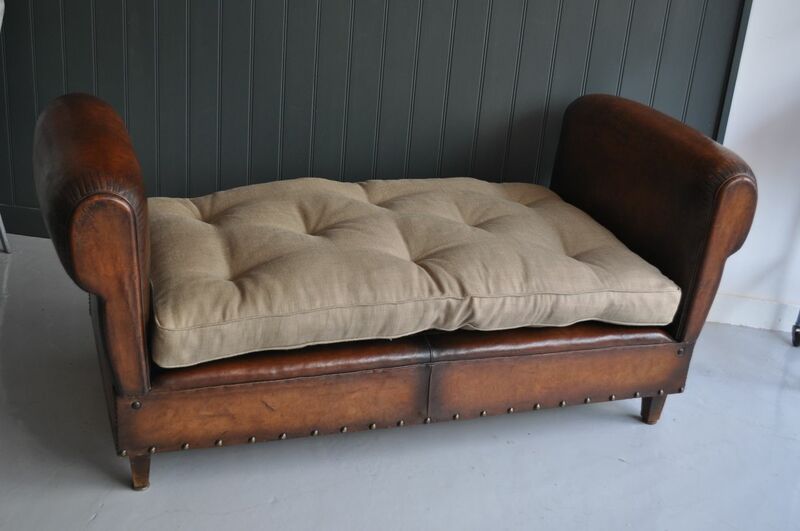 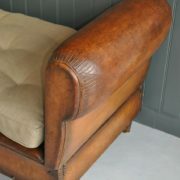 Superb French leather daybed, with arms that can be dropped either 45 degrees, or fully flat. 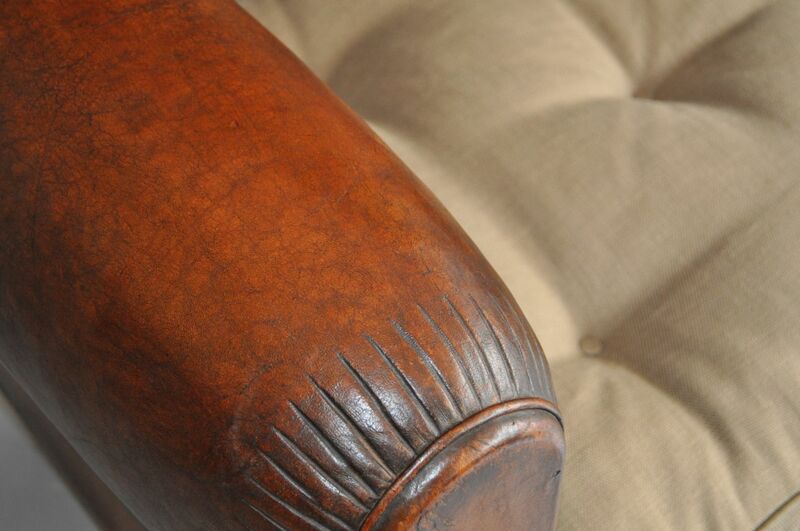 The leather is in great condition, with no repairs, cracking, or flaking, and has a lovely colour and patination to the arms. 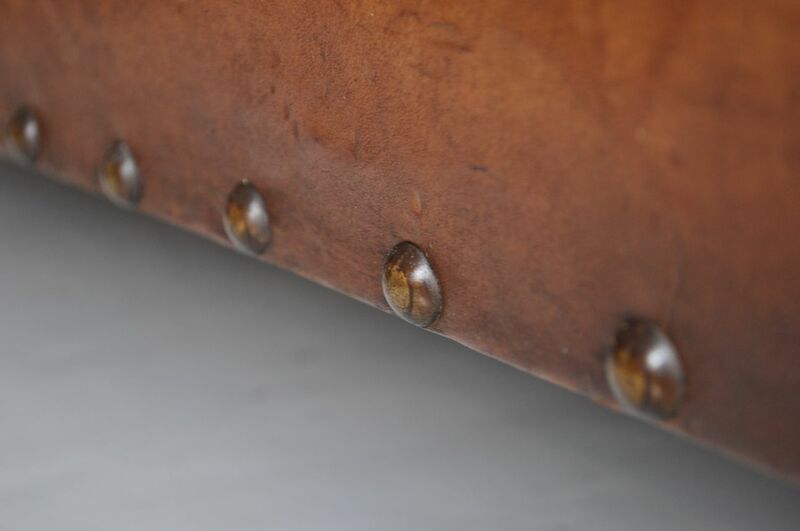 Studding to the perimeter of the base. 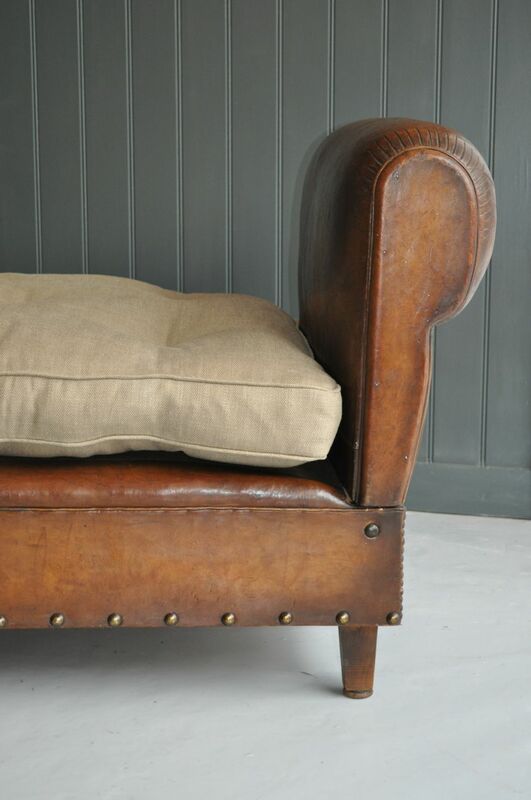 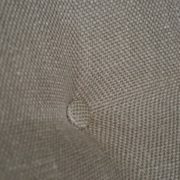 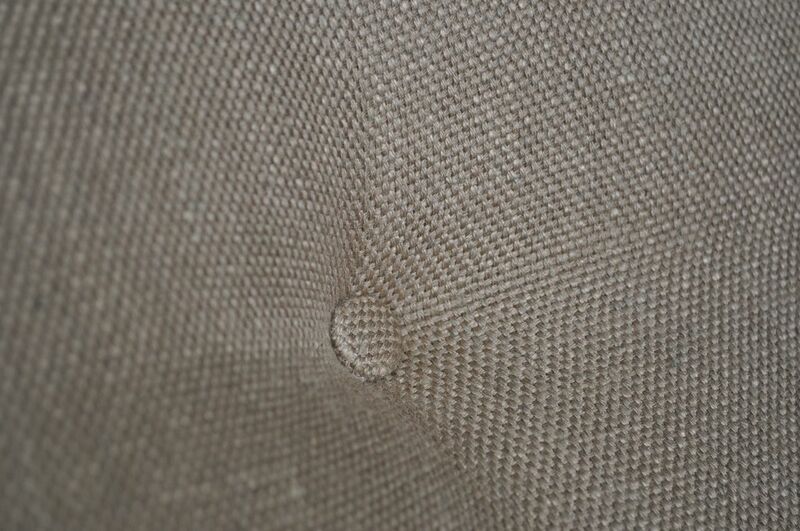 The buttoned mattress and pair of side cushions have been newly upholstered in linen.